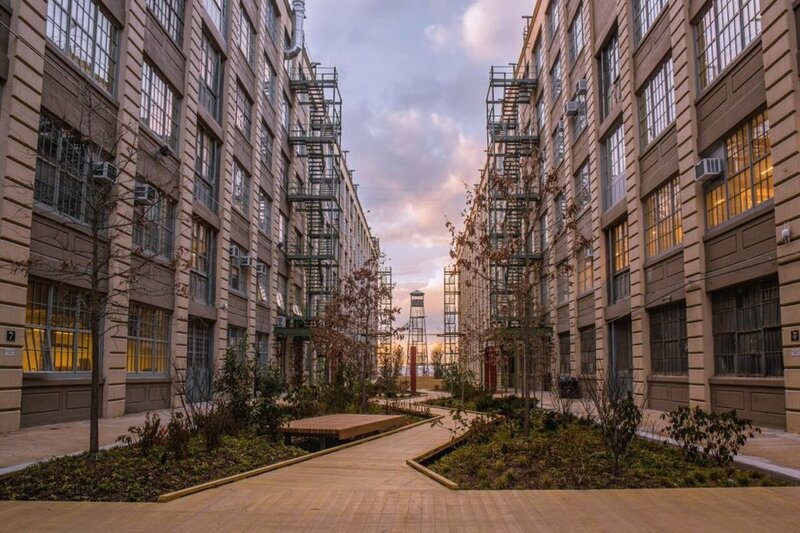 Our studio calls the burgeoning Industry City home in the Sunset Park section of Brooklyn. Record with us here and visit the diverse food court for some of Brooklyn's best eats, take a break during your session in one of the courtyard gardens or stop by the nearby shops and knock out some errands while you visit us. We are easily accessible by subway on the N, R and D lines — just two express stops away from Manhattan. We are located in building 2, on the south side of 36th street. Use the entrance marked 254 and take the elevators right when you walk in, next to Ends Meat, to the 5th floor.